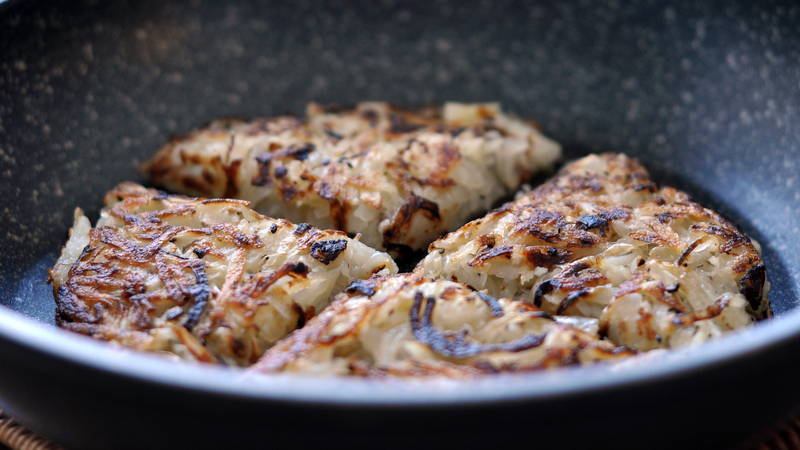 I first tried a potato rosti on my visit to Switzerland about two years ago and loved it! It’s similar to a hash brown but more decadent and textural. It’s great to find out multiple ways of using potatoes in our cooking. But then I started thinking of what else I’d have my rosti with, as it’s never enough just on its own or traditionally with an egg. So I thought, meatballs! 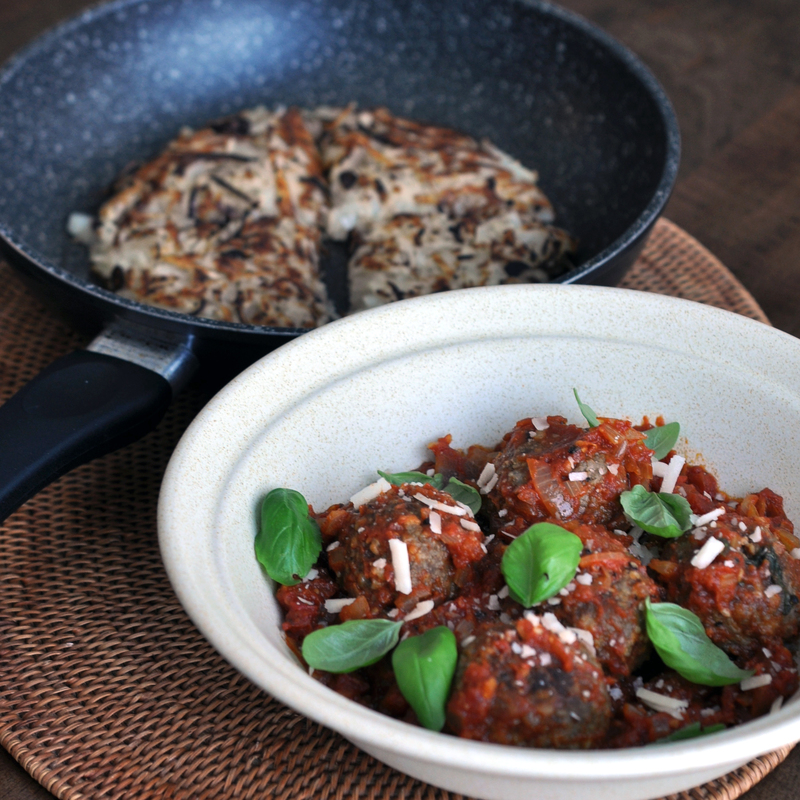 why not pair it with meatballs?! You’ve got to give my recipe a go, this one’s a winner and a definite crowd pleaser. 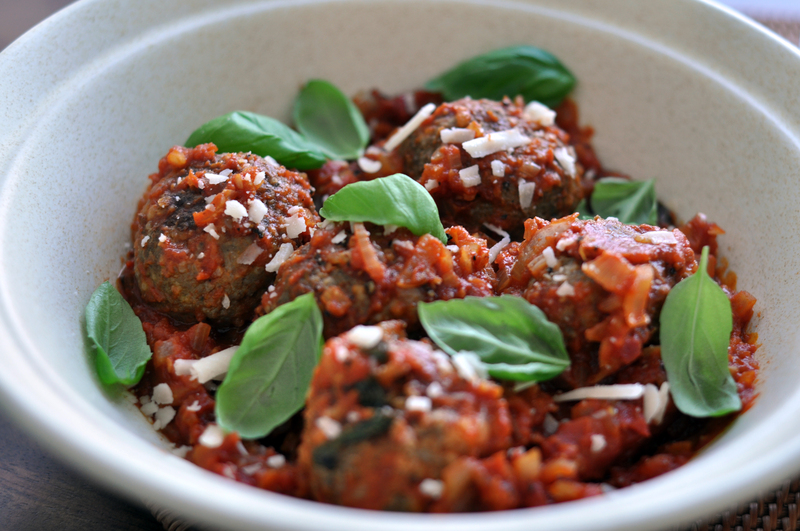 To make your meatballs, combine the minced beef with all the ingredients. I used Sky Flakes crackers and honey mustard because that’s what I had in my pantry. By all means, use any cracker or mustard you prefer. 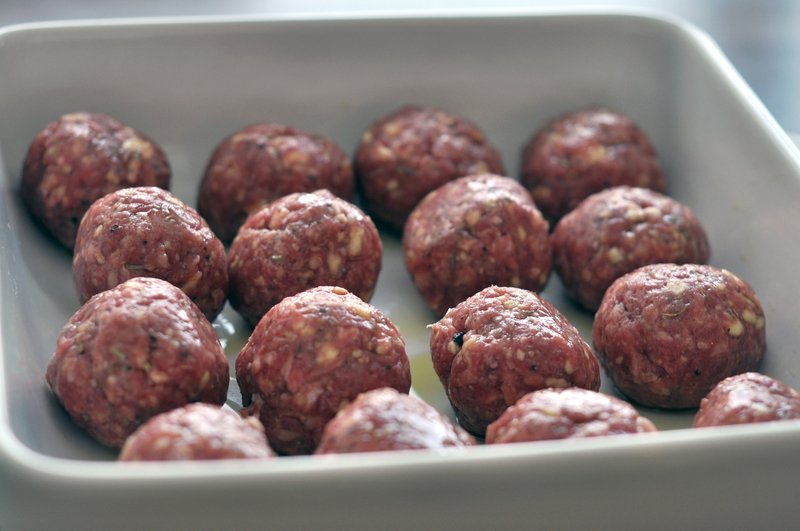 Roll the mixture into 16-20 balls, cover in olive oil and chill in the fridge. For the marinara sauce, sweat the onions then add the garlic and chilli. Before the garlic browns, add the tomatoes and season well with salt, pepper and sugar. 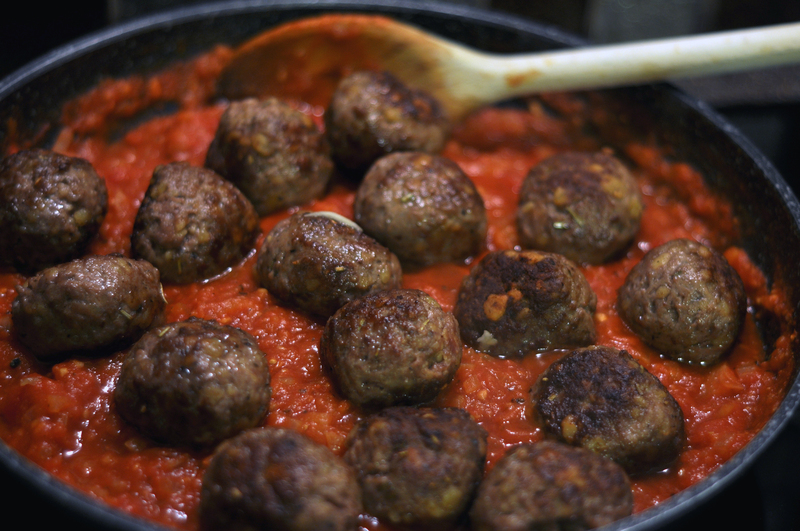 Fry the meatballs and add to the marinara sauce. Let it simmer for 5-10 minutes. Plate up and cover in parmesan and basil. To make the rosti, make sure to squeeze all moisture out of the grated potatoes and combine with all the ingredients. Heat the pan on medium, add little bit of vegetable oil, a small knob of butter and add the potato mixture into the pan, flatten. Be patient, it’ll take about 5 minutes or more on each side to crisp up. 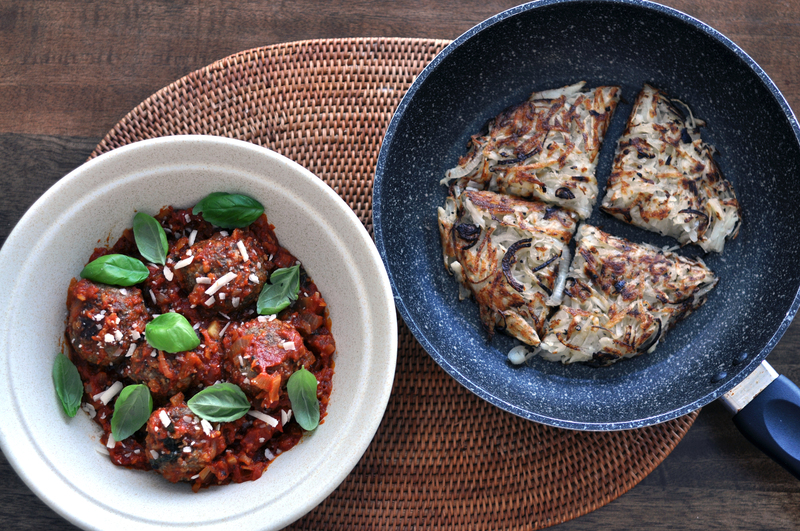 Slice and serve with the meatballs. Caught mum in action! So good, she couldn’t wait. 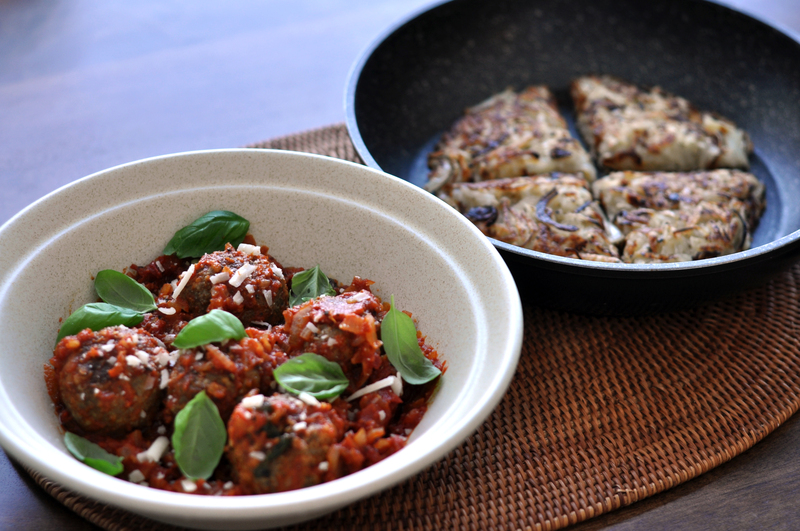 Do make sure to share if you try out my meatball recipe! 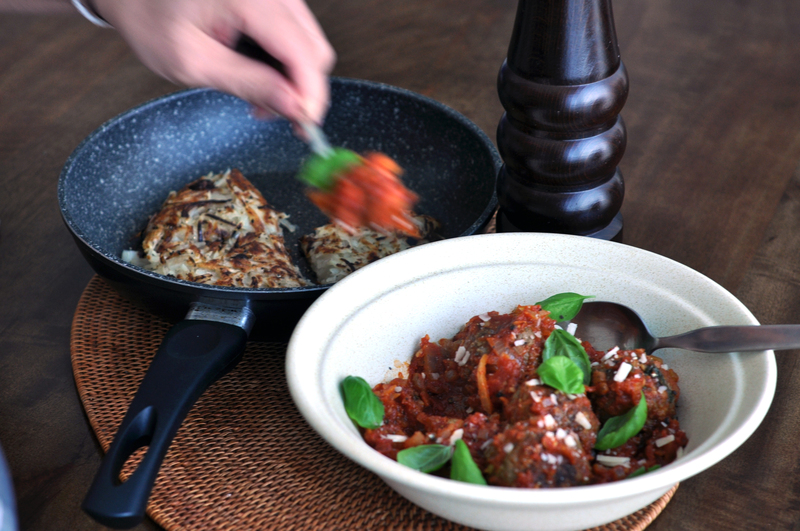 Meatballs in tomato sauce is one of my favourite meals but I have never thought of having them with a potato rosti… I will definitely be trying this next time! You definitely should! Just checked out your blog. I’ve always wanted to go to culinary school! That chocolate and orange cake looks delicious.